Quality Orthodontics You Can Trust! At Orthodontic Experts, we make sure that our patients are our number one priority. We listen to everything you have to say because we feel each patient is unique and deserves a unique approach. One of the most important part of orthodontic treatment is an effective diagnosis because it directly translates to effective treatment. To get this done, we use state-of-the-art technologies and stay current on scientifically-based principles. We believe in giving our patients choices when it comes to orthodontic treatment because we believe that everyone’s lifestyle is different. Browse through our before and after gallery to learn about different kinds of orthodontic issues, orthodontic appliances, and orthodontic treatments. We care for our patients, we love what we do, and we love doing it in the best way we can! In this series of before and after pictures, patients were diagnosed by our orthodontist to have an anterior crossbite. An anterior crossbite, also known as an underbite, occurs when any teeth of the upper jaw are located on the inside of the lower jaw. Elastics, also known as rubber bands, are used to apply pressure to the teeth to correct the bite. Check out the before and after pictures of patients treated with Elastics to correct their anterior crossbite! In this series of before and after pictures, patients were diagnosed by our orthodontist to have Class II Malocclusion. A malocclusion is a misalignment between the teeth of the two dental arches when they approach each other as the jaws close. Class II malocclusion is one of the most common orthodontic issues seen. Class II Elastics are rubber bands that go from upper the canine/vampire tooth to the lower molar (the last tooth with a bracket). 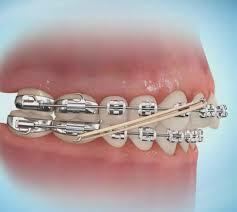 Class II Elastics are used to treat Class II Malocclusion. Check out the before and after pictures of patients treated with Class 2 Elastics! Forsus uses constant pressure to slowly move your jaws and teeth in order to properly align your smile. Forsus are placed in one simple appointment and they begin correcting your bite immediately! This appliance is a restraint device that will improve the alignment between the upper and lower teeth. It is an alternative method to headgear. Check out the before and after pictures of patients treated with Forsus! Class II Malocclusion sometimes requires teeth extraction in order to ensure that the treatment balances the facial aesthetics with the function of your jaw and teeth. Take a look at our before and after pictures of patients that needed teeth extractions! In this series of before and after pictures, patients were diagnosed by our orthodontist to have Class III Malocclusion. A malocclusion is a misalignment between the teeth when the jaws are closed. Class III malocclusion, also known as an underbite, occurs when the lower jaw protrudes forward, causing the lower jaw and teeth to overlap the upper jaw and teeth. An (RPE) is used to expand and make the upper jaw wider. For best results is it suggested to use before the palatal sutures fuse together which is usually around ages of 13-15. Early expansion can prevent asymmetric growth and can decrease the incidence of canine impacts on the upper jaw. Take a look at our before and after pictures of patients that needed a rapid palatal expander to achieve that beautiful smile! 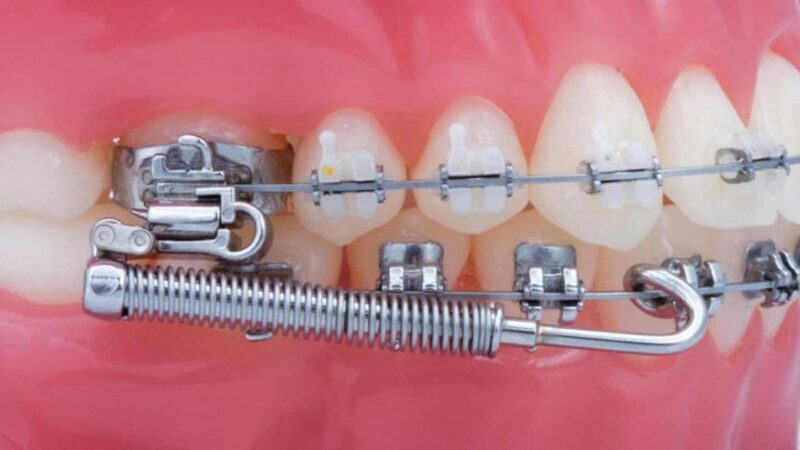 Surgical orthodontic treatment is for non-growing adult patients with severely improper bites and those with facial aesthetic concerns. Surgery is performed in the hospital by an oral surgeon, and can take several hours, depending on the amount and type of surgery needed. Take a look at our before and after pictures of patients that needed surgical orthodontics! Class III Malocclusion is associated with misalignment of the teeth and jaw. Elastics are generally used to correct the bite and alignment of the jaw. Class III Elastics are placed from the lower canine, also known as the vampire tooth, (the first front bracket with a hook) to the upper last tooth with a bracket. Take a look at our before and after pictures of patients that we used Class III Elastics for their Class III Malocclusion! In this series of before and after pictures, patients were diagnosed by our orthodontist to have Crowding. Crowding of teeth means that there is not enough space in the jaw for the teeth to develop properly. The teeth may be twisted or displaced. Generally, there is a misalignment of the tooth and jaw which causes crowding to occur, in turn, causing the teeth to be displaced. Crowding sometimes requires teeth extraction in order to ensure that the treatment balances the facial aesthetics with the function of your jaw and teeth. Take a look at our before and after pictures of patients that needed teeth extractions to create space in the jaw for proper teeth development! Interproximal Reduction (IPR) involves reducing outer enamel surface between two teeth next to each other. This helps to create space in order for proper tooth alignment. This could also be called slenderizing, enamel reduction, and reproximation. Take a look at our before and after pictures of patients that required IPR to create space in the jaw for proper teeth development! In this series of before and after pictures, patients were diagnosed by our orthodontist to have a deep overbite. A Deep Overbite, also known as a a closed bite, occurs when the upper front teeth excessively overlap the bottom front teeth. A Bite Plate helps correct a deep overbite. It is an appliance that impact the upper front teeth and help your teeth move in their correct positions. This is placed on the upper teeth to build a barrier against the upper incisors. This lets the lower incisors to open the bite allowing for the teeth in the back to erupt properly. Take a look at our before and after pictures of patients that used a bite plate to correct their overbite! Bite Ramps are small bumps that are added to the upper teeth to help deep overbites. This appliance is placed on the inside of the upper teeth making them invisible. Bite Ramps are used collaboratively with braces and elastics. Take a look at our before and after pictures of patients that used bite ramps to accelerate the correction of their overbite! In this series of before and after pictures, patients were diagnosed by our orthodontist to have an open bite. You can spot an open bite when you see an a vertical space between the front upper and lower teeth when the patient fully bites down. The back teeth touch before the front teeth have a chance to come together. Check out the before and after pictures of patients treated with Elastics to correct their open bite! Open Bites sometimes require teeth extractions in order to ensure that the treatment balances the facial aesthetics with the function of your jaw and teeth. Check out the before and after pictures of patients treated with extractions to help correct their open bite! In this series of before and after pictures, patients were diagnosed by our orthodontist to have a posterior crossbite. This means that the top back teeth bite down inside the bottom back teeth. An (RPE) is used to expand and make the upper jaw wider. This appliance helps correct posterior crossbites. For best results is it suggested to use before the palatal sutures fuse together which is usually around ages of 13-15. Early expansion can prevent asymmetric growth due to posterior crossbites and can decrease the incidence of canine impacts on the upper jaw. Check out the before and after pictures of patients treated with a rapid palatal expander to help correct their posterior crossbite! A Surgically Assisted Rapid Palatal Expansion (SARPE), also known as Surgically Assisted Rapid Maxillary Expansion (SARME), is a technique used to expand the maxillary arch. This means that the orthodontist surgically helped expand the patients upper jaw. Check out the before and after pictures of patients treated with surgically assisted rapid palatal expansion to help correct their posterior crossbite! Invisalign Clear Aligners are removable orthodontic appliances that uses a series of plastic trays to straighten teeth over time. Each Invisalign tray makes small adjustments to the position of the tooth. You will receive a new Invisalign tray on a weekly or bi-weekly basis. Similar to traditional metal braces, treatment with Invisalign can last anywhere from six to twenty four months. Generally, wisdom teeth are impacted teeth; however, any permanent tooth can be impacted because it did not properly erupt. Permanent teeth that are impacted will have a greater noticeable effect on the patient’s mouth, smile, and its function. In particular, the upper canines, when impacted are completely covered by the bone and visible only in x-rays. Patients suffering from this should consult an experienced orthodontist that has experience that has treated similar complex issues. The patient is sent to the oral surgeon for the uncovery and they uncover the tooth and place a bracket on it. Then, the tooth is slowly pulled down into the appropriate space. This is known as a surgical tooth uncovery and chain-and-bracket procedure. Schedule a FREE Consultation with our orthodontist to learn more about how you can transform your smile!